Don't be afraid to mix patterns. 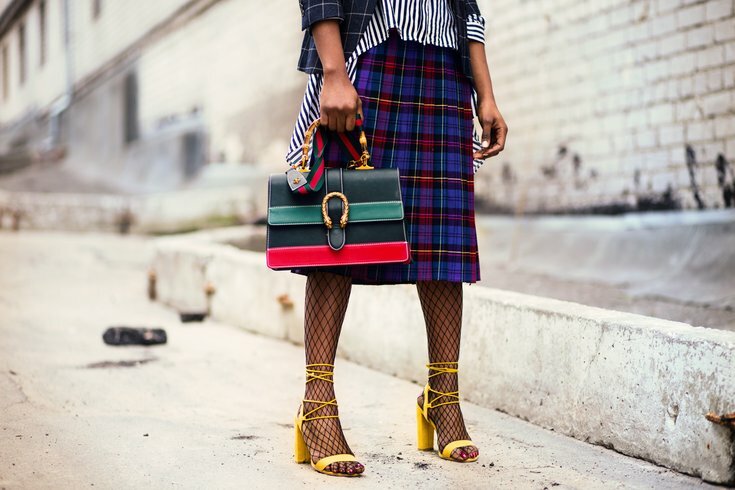 Look to your favorite street style stars for a dose of outfit inspo. Philly Fashion Week will take place Monday, Sept. 24, through Sunday, Sept. 29. Runway shows will take place each day, mostly outside of City Hall. There will be shows highlighting streetwear, plus-size looks, local designers, kids' fashion and more. Ticket prices for each show range from $35 to $100, but there's also a free show (RSVP here) on Friday, Sept. 28. It will take place at Dilworth Park, from 5:30 p.m. to 6:30 p.m. The show will feature luxury brands, Philadelphia Fashion Incubator alumni and premier Center City retailers, along with live entertainment. After watching the models walk the catwalk, attendees can buy their favorite looks from the event. View the full Philly Fashion Week schedule here.